The Wilson Rush Pro 2.0 men’s tennis shoes are designed for the baseline player who wants top levels of grip and stability, along with excellent comfort and smooth but quick acceleration. The Endofit technology ensures a comfortable and secure fit and the 3D-F.S helps increase support and acceleration, with explosive response time. The light and cushioning R-DST+ foam midsole works with the Dynamic Fit DF1 technology to give a low-to-the-ground feel. For great torsion control and stability the all-court shoes incorporate Wilson’s Pro Torque Chassis arch technology. The abrasion-resistant Duralast outsole improves grip and durability, and it is also non-marking and comes with a 6 month durability guarantee. 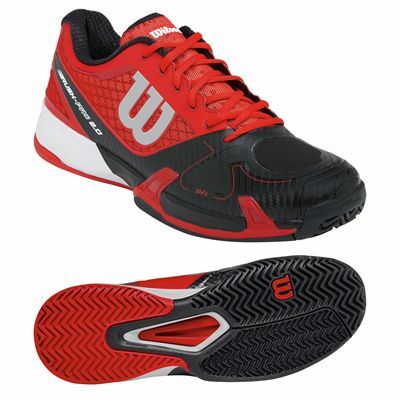 for submitting product review about Wilson Rush Pro 2.0 Mens Tennis Shoes SS15.